Once again, the time-honored tradition of celebrating the Fourth of July returns to San Clemente. 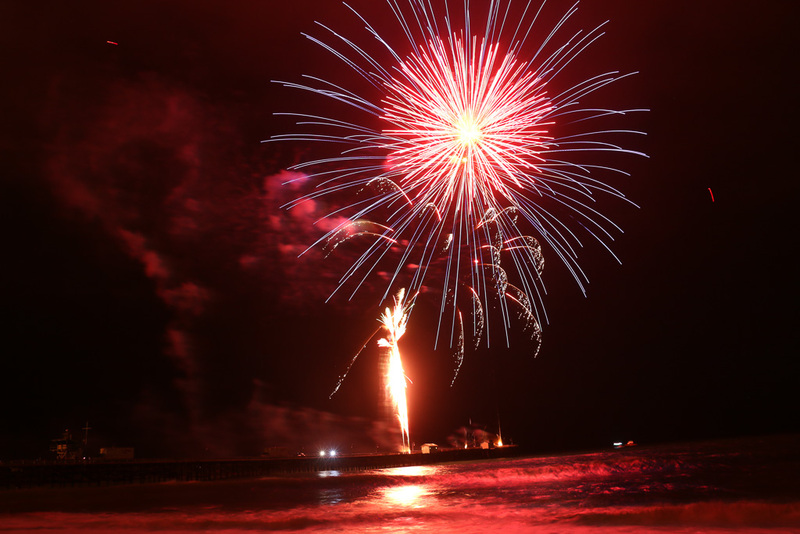 At 9 p.m., the city will present a fireworks display from the end of the Pier. The Pier will be closed at noon on July 3 for preliminary preparation. The Fisherman’s Restaurant & Bar will be accessible to its patrons. A flyover by the Condor Squadron, consisting of four AT-6 aircraft World War II trainers, will fly over San Clemente at 5:55 p.m.
Members of the public are reminded to not camp out the evening before the Fourth of July. The San Clemente Municipal Code (SCMC) prohibits overnight camping in parks and on the beach, and being on the beach between the hours of midnight and 4 a.m.
Use of drones or any unmanned aircraft over any city-permitted events, unless granted written or electronic permission by the city, is prohibited. Dogs are also not permitted on the coastal trail on July 4. Ocean access 1,000 feet in both directions of the Pier will be closed at 8 p.m. The purpose is to protect people from the dangers of fireworks fallout. San Clemente Trolleys will run from 10 a.m.-10 p.m. At 6 p.m., the trolley route will be adjusted to accommodate street closures in the Pier Bowl and downtown area. The closure will impact stops 1, 3, 4, 14, 15 and 16. Trolley riders looking to utilize the service after the fireworks show can access the trolley at Stop 2, located at the Community Center on the corner of Avenida Del Mar and Calle Seville. 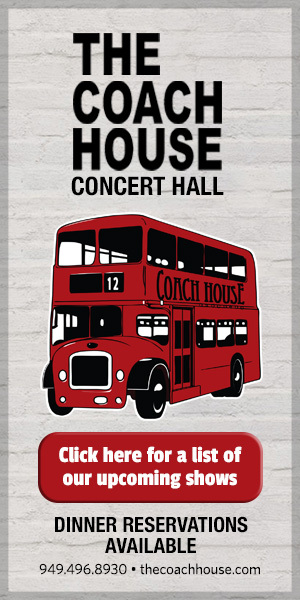 Check for any changes to the hours of operation by visiting www.san-clemente.org/trolley. People are asked to take their trash with them when exiting the beach. Roping or blocking-off portions of the beach for private use is not permitted. The city of San Clemente has ordinances prohibiting all fireworks, including Safe & Sane fireworks within the city limits, and ordinances prohibiting the consumption of alcoholic beverages on the beach and Pier. 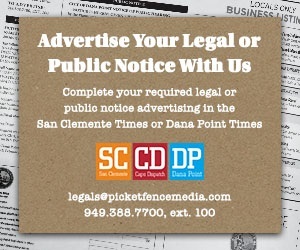 The release stated San Clemente Police Services will strictly enforce these ordinances. Active-duty Marines and their families are invited to the annual Fourth of July potluck at Park Semper Fi from 5-10 p.m. on America’s birthday. Watch the spectacular fireworks from a premium view and bring a potluck dish. The event is free for active-duty Marines, and tickets are required. To RSVP for the event, call Wayne Eggleston at 949.498.4958 or visit www.marinemonument.com. A 2004 San Clemente High School graduate and city native will celebrate America’s 242nd year of independence as part of a hand-picked Navy crew serving on the world’s oldest commissioned warship afloat, the USS Constitution, according to a press release from the Navy. Petty Officer 3rd Class Angela Careccia serves aboard the 220-year-old Boston-based ship named by President George Washington to honor the Constitution of the United States of America. Easily the city’s most “chill” event all year, the annual Office Chair Downhill Derby will take place between Avenida Victoria and Avenida Rosa. Practice takes place at 10 a.m. and races begin at 11 a.m.